Camping Duinrell is a luxury camping site found in the southern part of the Netherlands. Offering visitors a splendid natural ambiance alongside numerous comforts, Duinrell ranks up high among camping destinations. Contact LuxCamp to learn more about this holiday opportunity. Attention: Upon arrival, a Duinrell ID with photo will be made for everyone aged 4. You will need this ID to get access to the campsite, the park and the Tiki Pool. Please bring a passport photo or have it taken at Duinrell Plaza for a fee. The Tina Dag Event is being held on Duinrell during the weekend of the 21st and 22nd September 2019. 10.000 young girls will be on-site across these dates and there will be various activities. No vehicles are allowed during the Tina Dag dates between 08.00 > 20.30. Customers will be able to park their vehicle on the free public car park just outside the entrance until they are able to drive on the parc. The amusement park Duinrell is closed on 29/3 , 1/11 and 2/11. 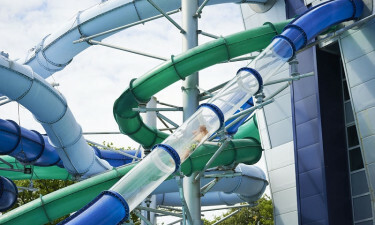 Why Should I Choose Duinrell for My Next Camping Holiday? The possibility of choosing a mobile home that fits your family's needs. A kaleidoscope or sporting activities. Some of the conveniences include a baby changing room, locations for waste disposal and areas to wash and dry clothes. These locations are equipped to handle the needs of handicapped individuals, so camping luxury is available to all. The aspects of luxury camping to be experienced at Duinrell are enhanced by the variety of sports that can be enjoyed. Some of the most popular are swimming (either in an on-site pool or at a beach located only 4 kilometers away), tennis, table tennis, golf and bicycle hire. For those who desire a relaxing excursion, sailing and surfing are two other possibilities to be considered. 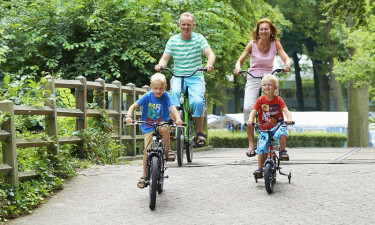 Duinrell is a holiday camping site that is perfect for the entire family. While parents can enjoy such relaxing options such as a sauna, any children are certain to love the number of activities that Duinrell can provide. Considering that a children's play area is located within the facility, parents can rest assured that their little ones will remain entertained. Three restaurants are found within this holiday camping site. These are all known as La Place. Visitors can enjoy a host of organic options and international options such as pizza are also available. For those looking to quench their thirst, the Duinrell Pub is another great alternative. Fine lagers of both regional and international origin are available. The pub sells snacks and there is even a miniature bowling alley within the pub, so children will also have a great time here. 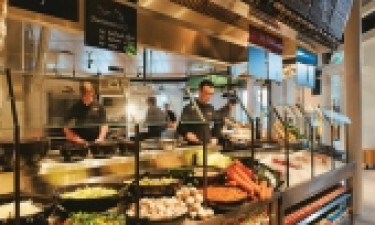 There are a number of options to choose in terms of restaurants and retail centres. The Duinrell Superstore will generally provide all of the provisions that are required during a stay. This will include food, baby products and camping equipment. This supermarket is actually only one part of the larger location known as Duinrell Plaza. As all stores and boutiques are located within close proximity to one another, finding exactly what one needs is simple. The entrance per person to the Tiki Pool is € 5.50 for 2 hours, € 6,50 for 3 hours and € 7,50 for the whole day. Children under 3 years are free.